Every girl wants to look like a dream on her wedding day. Celebrities are no less dreamy-eyed about such things. Even if they're constantly sparkly and fashionable, bridal glow comes in highly exclusive. We've noticed quite a bit of it in recent days what with a rush of star weddings on the scene. Who do you think nailed the bridal look better than anyone else this wedding season? Take a look and tell us in the comments below. The star of numerous blockbusters down South and hits like Ghajini and Housefull 2 in Hindi, Asin said 'I do' to Micromax founder Rahul Sharma earlier this year. 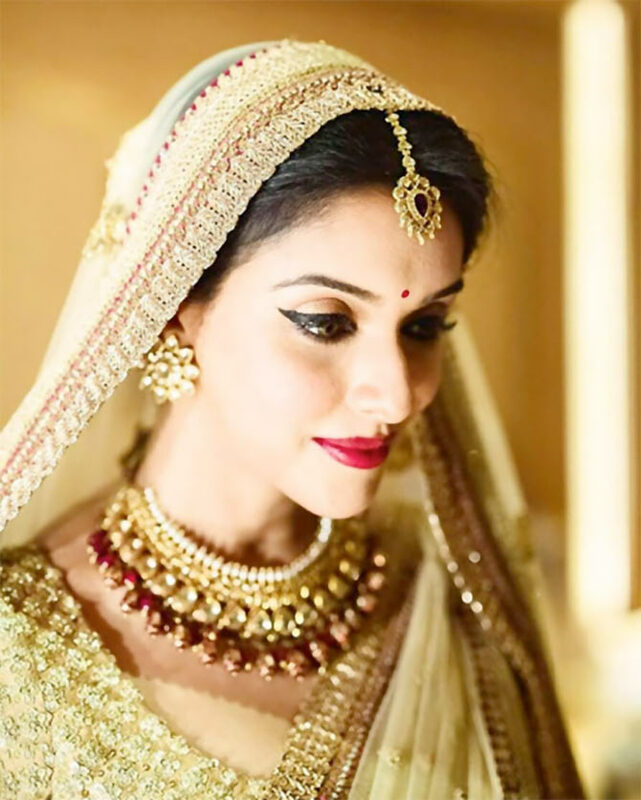 Opting for a church wedding followed by a ceremony as per hindu rituals, Asin sashayed in both -- a romantic Vera Wang gown and, later, a gold Sabyasachi lehenga with gorgeous grace. The 37-year-old scorcher tied the knot to Alone co-star Karan Singh Grover in a traditional Bengali ceremony wearing a heavily embellished crimson and gold Sabyasachi teamed up with equally elaborate bling. Add to that, one big red bindi on the forehead and Bipasha is a picture of regal magic. While her wedding to Gene Goodenough in Los Angeles was a strictly private affair, Preity Zinta decided to host a lavish reception for her friends from the industry in Mumbai recently. And she picked an elegant red Manish Malhotra gown to announce her new bride status. The lively hues and her best accessory -- that dimpled smile -- do the bubbly Kal Ho Naa Ho heroine ample justice. Urmila Matondkar's single status was a subject of constant speculation until her surprise announcement of a hush-hush shaadi to Kashmir-based businessman and model Mohsin Akhtar Mir. Naturally, the beaming bride picked an ornate red and gold Benaresi lehenga designed by buddy Manish Malhotra for her big day. 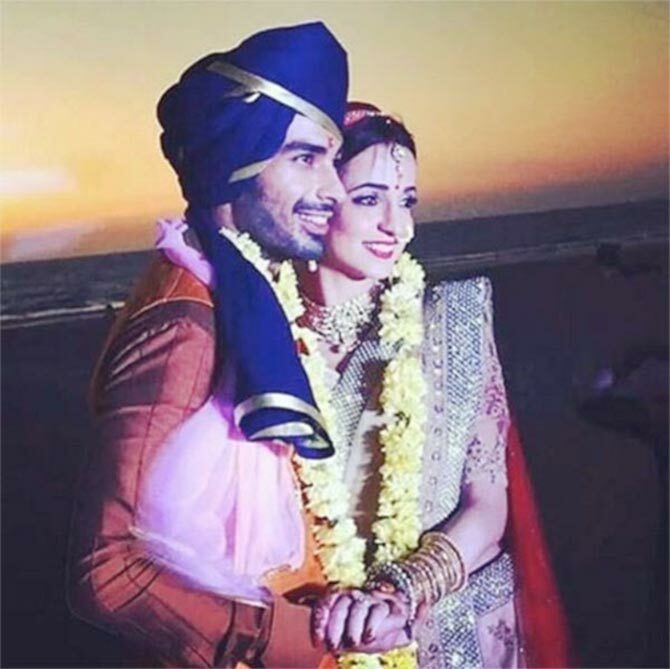 Small screen star Sanaya Irani's destination wedding in Goa turned out to be one glamorous affair. 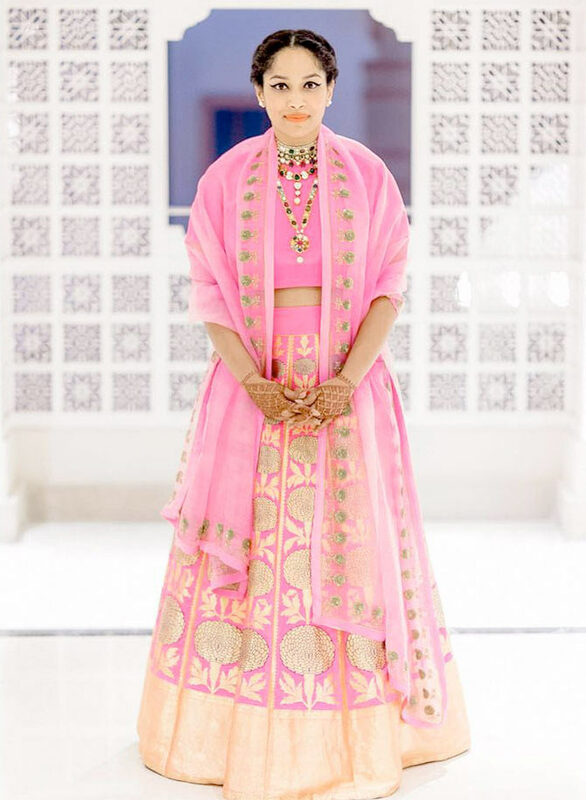 Irani, who married her Miley Jab Hum Tum co-star Mohit Sehgal by the beach, is resplendence personified in her golden pink lehenga creation by friend and fellow TV star turned designer Roshni Chopra. 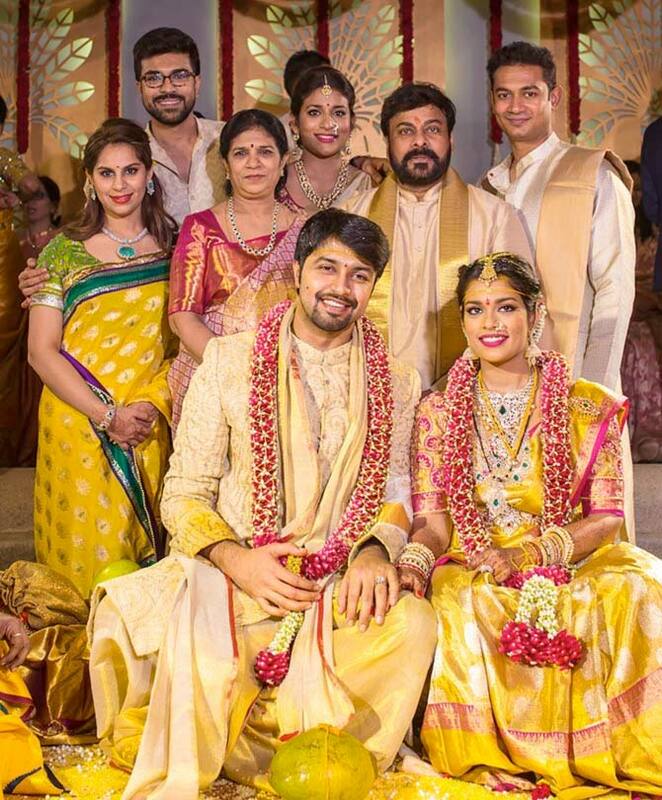 Superstar Chiranjeevi left no stone unturned to see his daughter Sreeja's wedding is an opulent event. The bride redefines old-fashioned splendour in her rich, custom-made kanjeevaram and hefty temple jewellery. 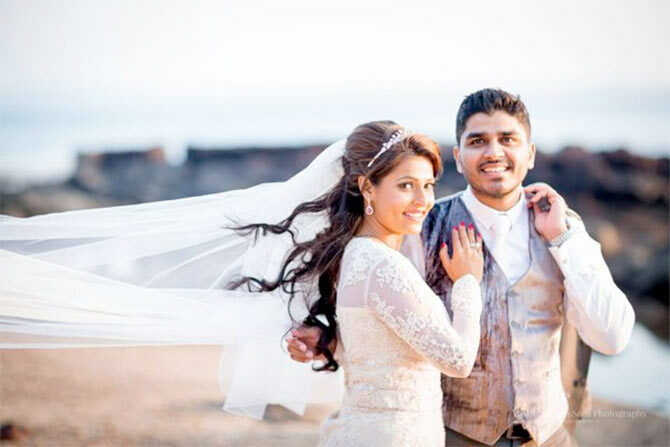 Finding her original wedding celebration too low-key for her liking, hip fashion designer Masaba planned an extravagant round of second nuptials to producer Madhu Mantena. And just as she had hoped, a desi touch to the festivities brought in its share of spirit and frolic. The lady donned ensembles by her designer friends like Anamika Khanna and Raw Mango, apart from her own designs, for the various functions. 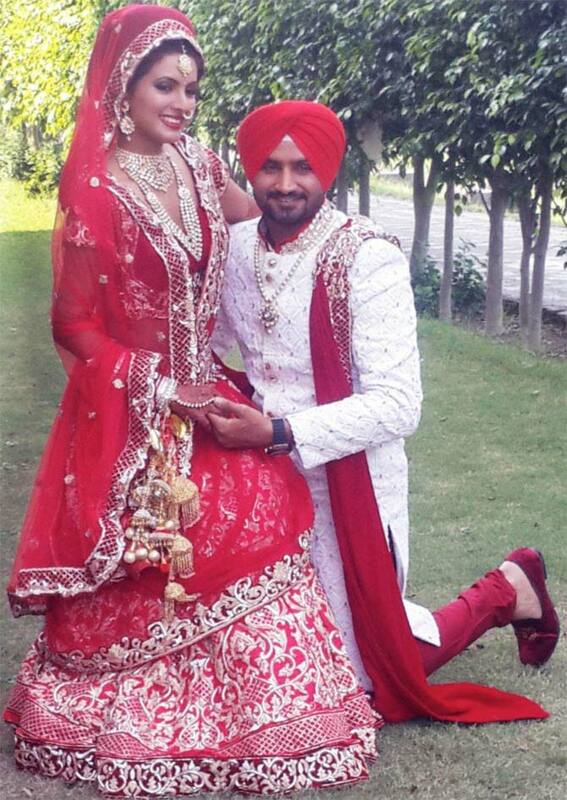 After dating each other for nearly a decade, starlet Geeta Basra tied the knot to cricketer Harbhajan Singh in a traditional Sikh ceremony at the latter's hometown in Jalandhar, Punjab. Basra, who's starred in movies like The Train and Second Hand Husband, picked a heavily embroidered, bright red Archana Kochhar lehenga to do the deed. Mast Mast star Raveena Tandon's airhostess daughter Chhaya exchanged vows with Shawn Malaney during a church wedding in a classic Ashley Rebello gown. A shiny tiara and flowy trail lend the bride an extra pretty, princess-y vibe. 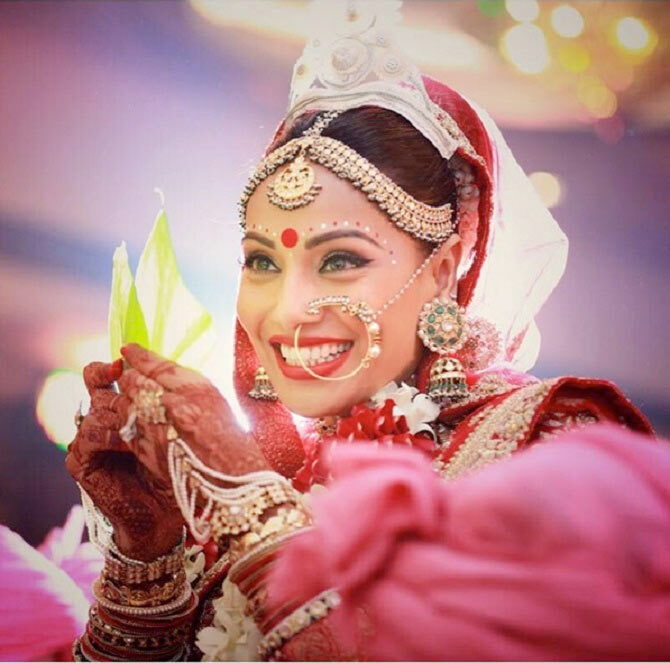 Candid pictures from Bipasha-Karan's DREAMY wedding! Cannes 2016: Sonam Kapoor dazzles in white!